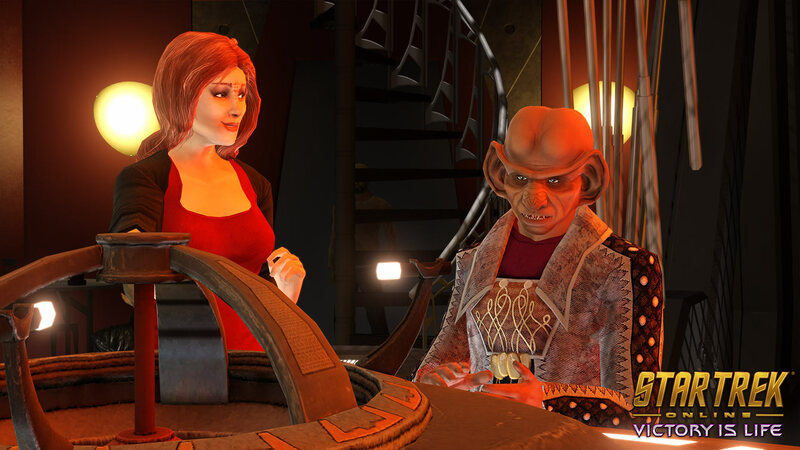 In March of this year, I had the genuine pleasure of doing an interview for Trekcore.com with Deep Space Nine’s Chase Masterson, who plays Leeta; former Dabo girl and now wife of the Ferengi Grand Nagus. In Star Trek Online, she also plays the Mirror Universe’s ‘Admiral Leeta’; the savage ruler of the Terran Empire. A new expansion pack for the game debuts in June, which promises to create new opportunities for her character(s). In the interview we also discussed voice-acting, fandom and her anti-bullying charity Pop Culture Hero Coalition. On a personal note, Chase Masterson was a dream interview subject; kind, personable and very appreciative of her fans. I also greatly admire her anti-bullying charity Pop Culture Hero Coalition , which tries (through science-fiction and pop culture) to foster a better, more accepting world within fandom and elsewhere; sort of a grass-roots version of the IDIC (Infinite Diversity in Infinite Combinations) philosophy we see in Star Trek. 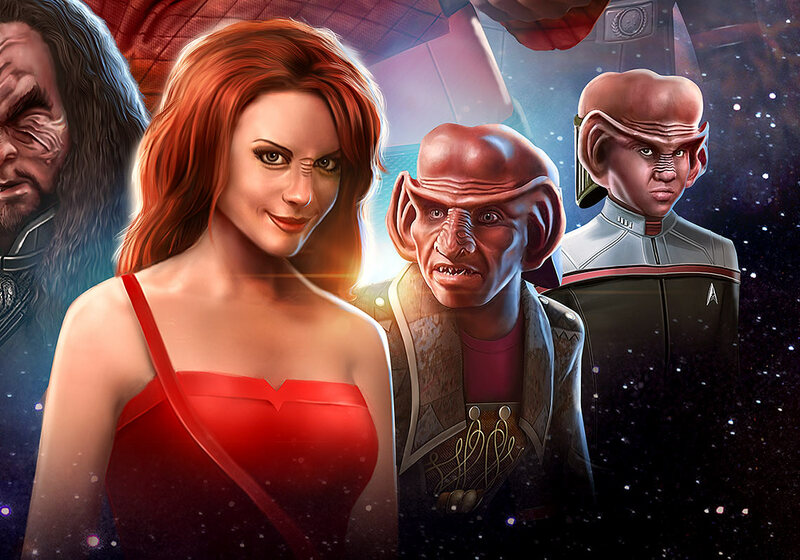 The Star Trek Online “Victory is Life” expansion pack debuts June 5th. That’s pretty cool you got to do that. I’ve got to do a couple of neat interviews for my work, though they’re not people you’d be familiar with. I got to talk to Aleksey “WhiteRa” Krupnyk, a very famous pro StarCraft II player from the Ukraine, and Joshua Alan Doetsch, who was at the time the lead writer for The Secret World, which was a game that raised for the bar for games as a story-telling medium, IMO. If you were a gamer, I think you’d have liked TSW. It was a masterpiece of mindfrackery. I’d met her at a few conventions, but never had the chance to talk to her in-depth. She’s a terrific lady. And it’s great that you’ve met your own heroes too! I’ve admired certain people in certain fields that I’m pretty sure very few people even know exist, let alone are familiar their works. But when I meet them? I have to practically put on restraints not to go all fanboy on them. Lovely interview! She really comes across as a very caring person. She was delightful. Sweet lady.